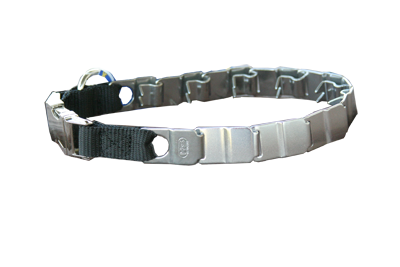 This Neck-Tech collar with snap-hook release is made of stainless steel guaranteed never to rust. The snap hook is used for easy removal. Each element (link) is made of stainless steel stamped of solid coiled stock. 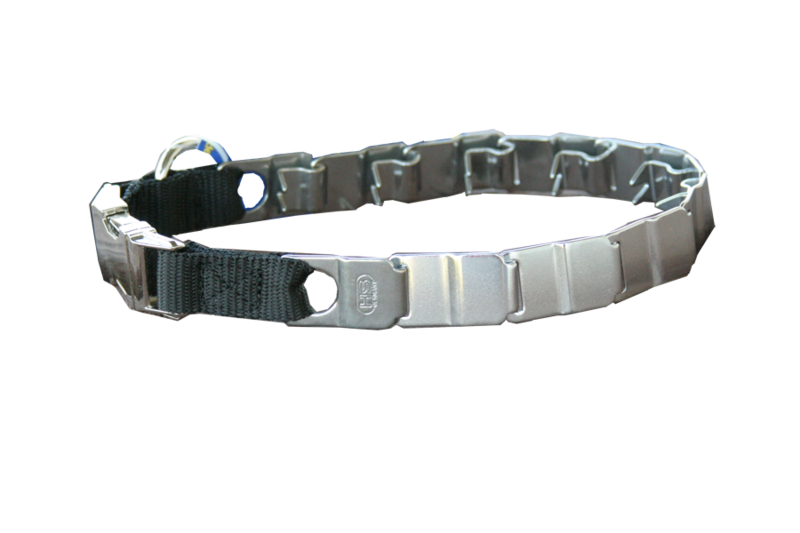 This collar is designed to replicate dog’s teeth for a natural influence on the dog’s neck. Pleasant for long and short hair breeds.